What a fun, bright cake this is! It s a 6" and 8" square stacked cake. Top tier is pink champagne, bottom tier is white with fresh strawberries and buttercream filling. 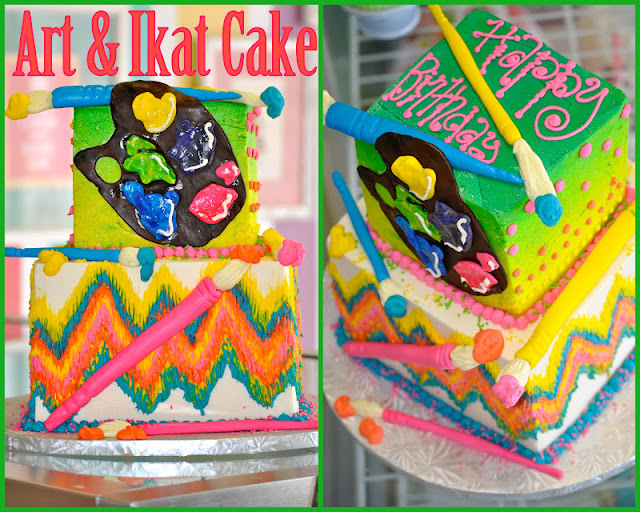 The painters palette and brushes are made from fondant and the ikat chevron pattern was piped with buttercream. Officially one of my favorite cakes ever! 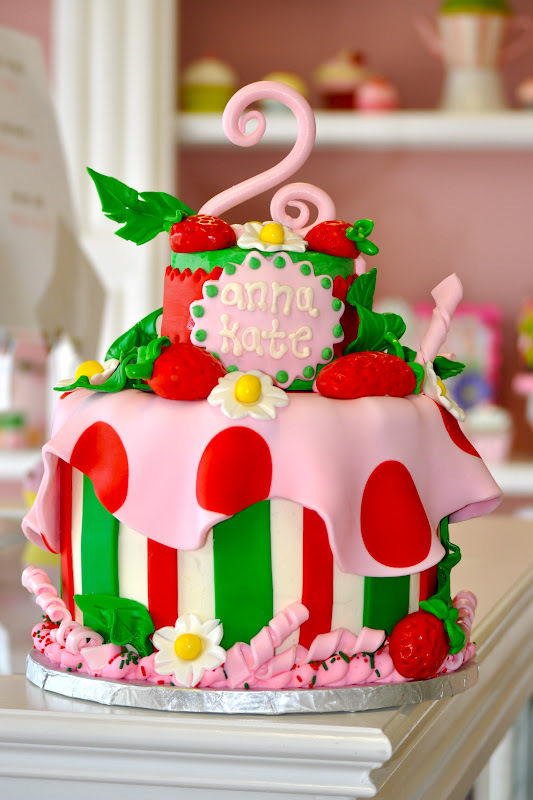 So girly and sweet, wish we had it as a dummy cake to have on display!! 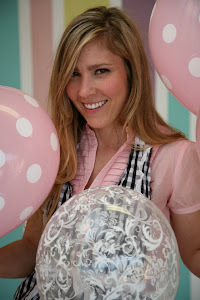 Anna Kate's sweet mommy was a pleasure to work with and picked our chocolate covered cherry as the flavor for the cake! The strawberries leaves and flowers are all made from fondant. 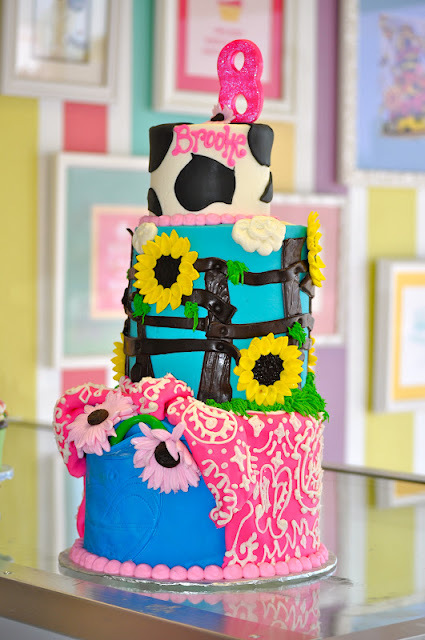 I had so much fun making this western cake for Miss Brooke!! It is a 4" 6" 8" stacked cake with red velvet, cookies and cream, and confetti cake. 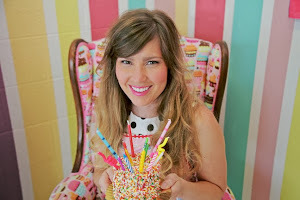 Her party is going to be at the stockyards and I think it's going to be fab! 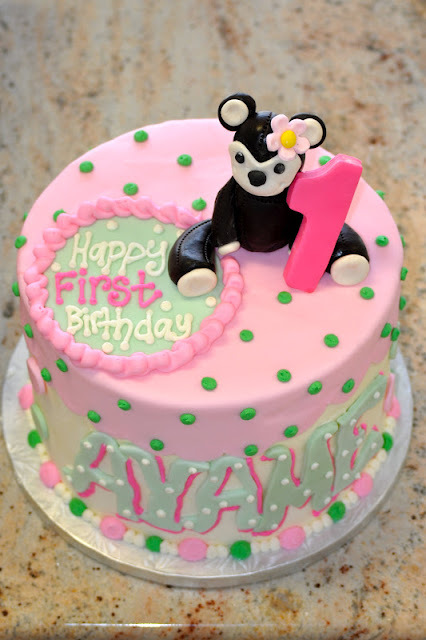 This cake is for Ayame's first birthday!! 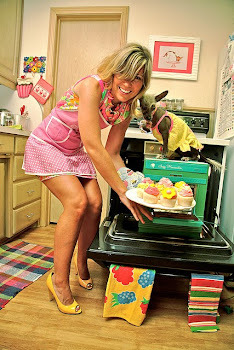 It is an 8" white cake covered in buttercream frosting with pink and green fondant details and a fondant monkey on top! 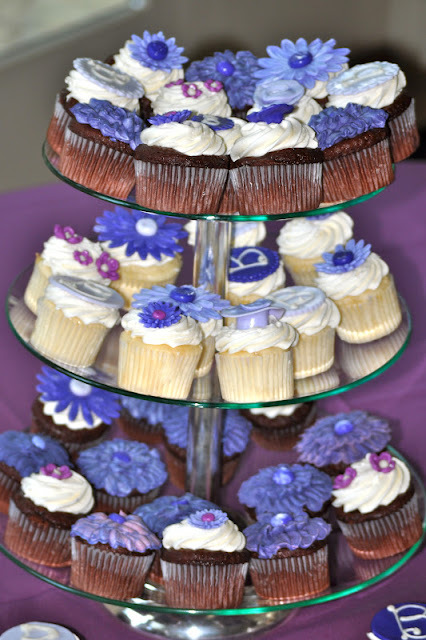 These cupcakes were for Kristen's wedding! They were made to match her invite and all the amazing flowers. I wish I had taken a picture of the flowers because they were BEAUTIFUL! 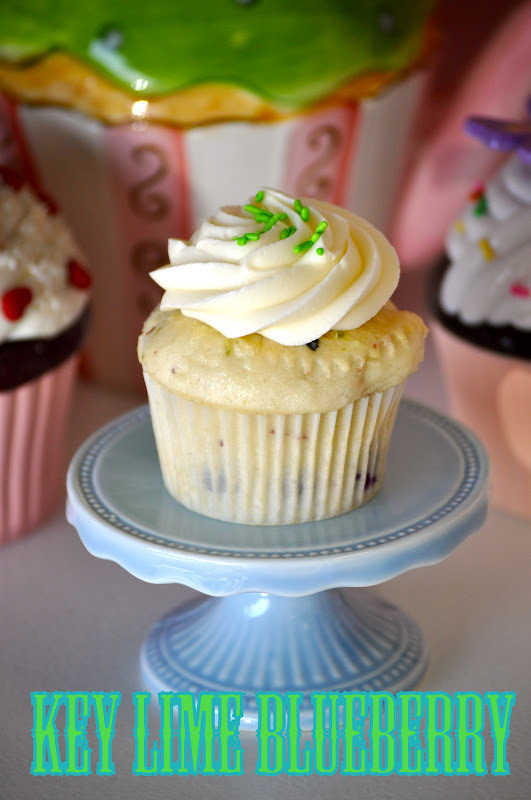 The cupcakes were vanilla bean and chocolate. 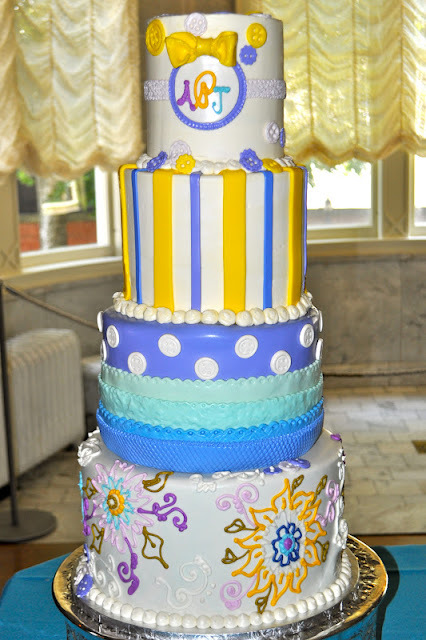 The toppers were monogram "B's", Daisies, and piped buttercream flowers. I was so excited when two sweet sisters who were having a joint birthday party asked for a Pinwheel cake! I have a slight obsession with pinwheels right now, not to mention I loved the colors they picked! They matched the shop colors perfectly! 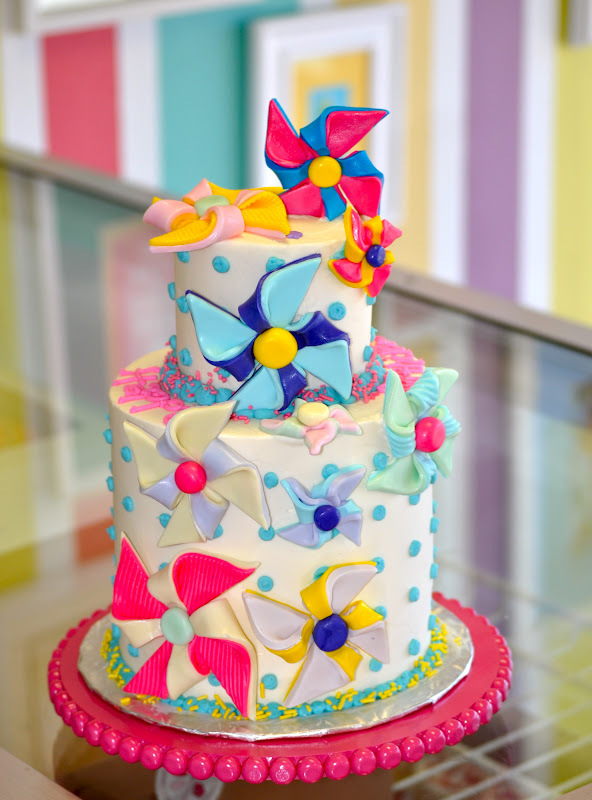 ;) This cake was a 4" lemon cake and a 6" confetti cake with fondant pinwheels! Love! 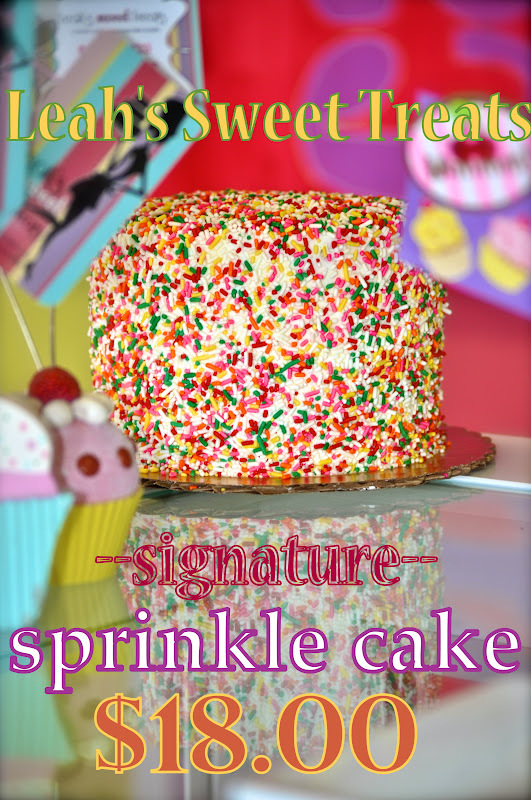 You can only find our sprinkle cake at one place in Fort Worth: Leah's Sweet Treats! It is our signature bakery cake. A 6" confetti cake with buttercream filling and frosting and covered in sprinkles! 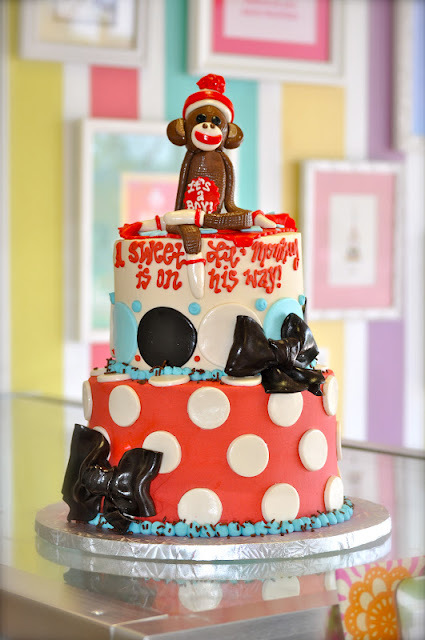 I love this Sock Monkey Cake! It was designed off the invite for Beths baby shower! It is a 6" Strawberry and 8" cookies and cream cake. The little sock monkey and bows are made from fondant. This 9" Cookies & Cream cake (Yum!) 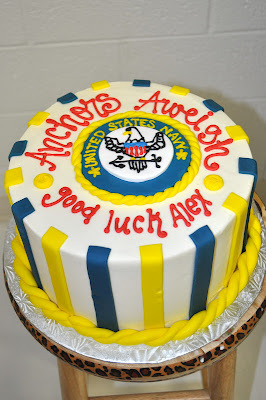 Was for a party being thrown for Alex who was about to embark on the navy boot camp! What a special honor to be a part of! We had SO much fun with this order!! Henry's mom Casey had sooo much great material for us to go off of, between the invite, fabrics, and pics there was inspiration galore!! His cake was a 4" and 6" white cake decorated to match the invite! There was also a separate little cow print smash for Henry to dive into! These cute little bug and flower cupcakes are an example of what we do ALOT of here at Leahs Sweet Treats, and I unfortunately don't always take pics of them! These were red velvet and lemon. If you are a frequent fan of our Facebook page: www.facebook.com/Leahs.Sweet.Treats , you have surely seen me mention my most favorite (and only) employee Nicole. If you have come in to the shop you have most likely met Nicole! 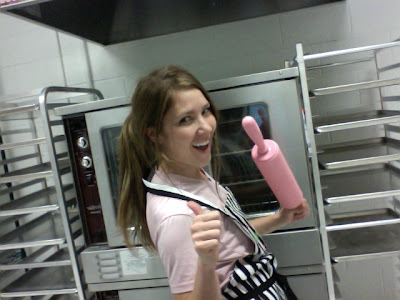 But if you haven't done either-- it's time to get to know my most valued employee: Nicole! DISCLAIMER:::::::::::::::::::::::::: Although we are ALWAYS "Camera Ready" and soooo ready for our close ups! (((yeah right!!!!!))) We almost never wear makeup to work. We don't mean to scare you (or your pure innocent children for that matter) but let's face it: We wake up at 4, are baking by 6, and get a full blown shower every time we do the dishes. Not to mention covered in buttercream probably every 20 min on the hour, a nice coat of food coloring all over the hands, and sprinkles in the hair. So we gave up pretty quick on the whole "gotta look super cute in this super cute cake shop" idea. So Nicole was nottttttt so thrilled when I told her to SMILE for the camera this morning! (And she tells me there will be some payback for this pic......... so everyone be on your toes!) 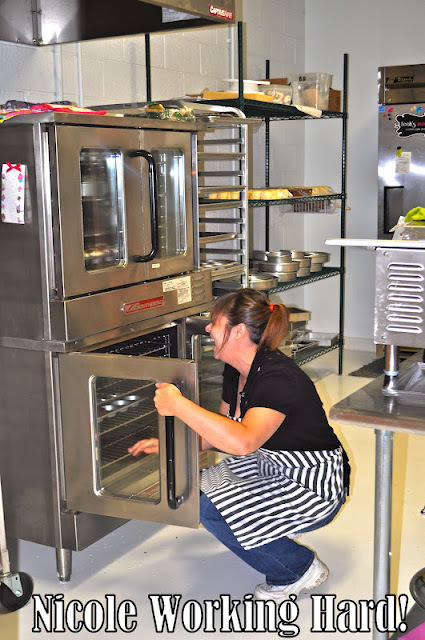 But this is my awesome Nicole, cracking up like she normally does at 6 AM--- life would be SO BORING without her here, manning the ovens like a champ!! Nicole helps me do absolutely everything around here- she bakes, she decorates, she frosts, she fills, she does dishes, answers phones, mops the floors, checks you out when you come in to buy your sweet treats, and she's my part time personal therapist and life coach. 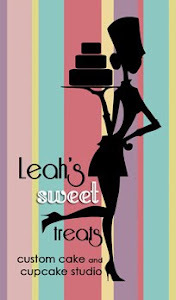 We want you to feel like you KNOW us at Leah's Sweet Treats!! We have the most awesome regular customers that we feel like are our friends and that we know so well after only being open for 4 months, and we want you to feel the same about us! Well, let's see... I'm a mother of two talented and beautiful teenage girls. They keep me cooking, cleaning, driving, texting, tweeting, spending, and listening to their crazy teenage happenings! I'm also married to a wonderful man, who embraces my (sometimes outrageous) demands and epiphanies with an open mind. I'm so lucky in love, family, and most recently, with my job. Why did you want to get into baking/pastry/cakes? I have always been the creative type. I always have a project going (or two, or three...) at any given time, whether home improvement, art project, or vegetable garden. I was an office manager for several years in the commercial flooring industry. I just decided one day that I needed to get out from behind the desk and do something that makes me happy, though I wasn't quite sure what that was yet! One day soon after, I had a whim to try my hand at a two tiered birthday cake. It seemed I had a knack for it! The reaction from everyone was so positive that I went for it! A few months later I found Leah, and well, here I am! There are so many great things about this place! First and foremost, I have THE best boss!!! (I'd give her a 10, but I'll have to deduct a 1/2 point for that surprise picture this morning!) I love Fort Worth! It's a great city, and I'm proud to be a part of the Camp Bowie family of small businesses. I know some people might think this is crazy, but the hours are wonderful! Up at 4am and baking by 6am may sound like torture to some, but it makes for lots of day left over when the work day is done! More so than anything, it means so much to me to be a part of a brand new company; not just any company, but our Leah has got something special here!! She's so super talented! I think anyone would be crazy not to want to be a part of what is happening here! 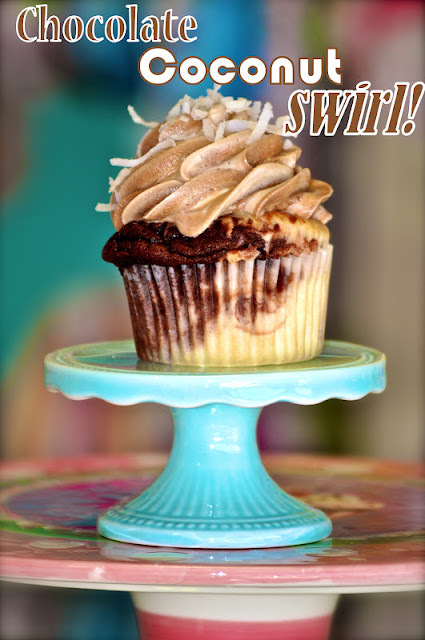 What do you love most about our sweet customers? I love that everyone who comes in with an idea, brings something different each time! No cake is ever the same as the one before. Our customers are pretty creative! It's always fun to see what they come up with next!! What is your favorite flavor of cupcake we make and why? That's a question that people ask me pretty often and I think my answer changes every day! I LOVE the Peanut Butter Chip. One bite and breakfast is out the window! The strawberry is the best on the planet! Who else makes them like we do? I've never been a big fan of nuts, but our Almond cupcake is a game changer! 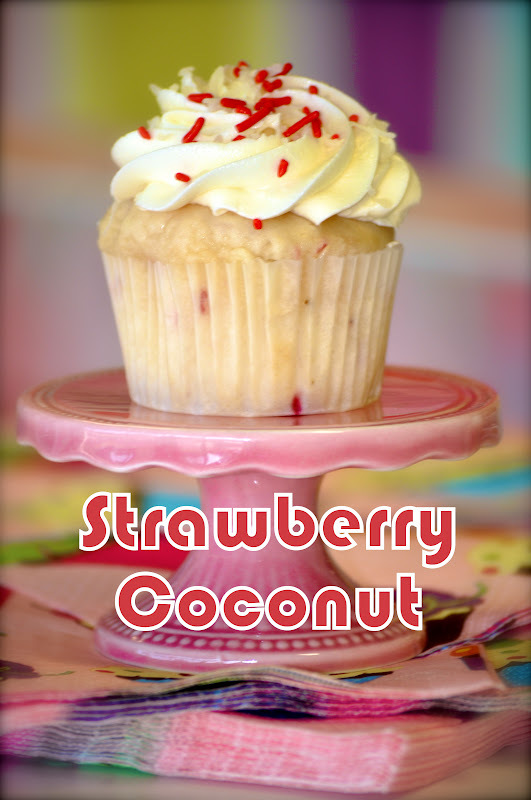 Just today, we made up a Chocolate Coconut flavor that immediately made my favorites list! I could go on... and on... and on!! Jenna wanted a vintage inspired wedding cake with a special surprise- the inside of the cake was ombre with a graduating aqua color! 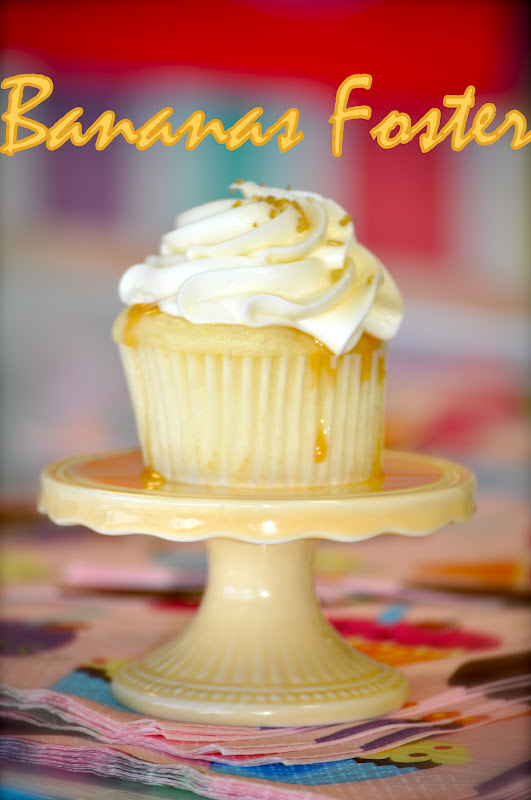 She chose the white velvet as her flavor (the most popular of our wedding flavors!) 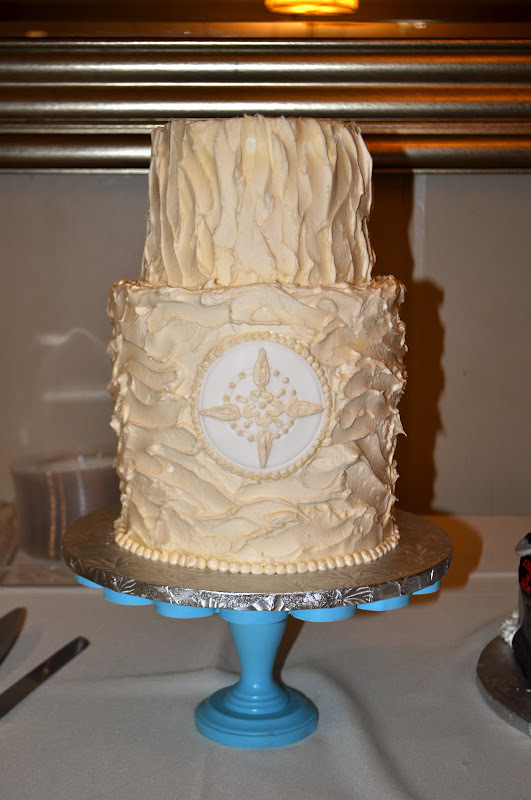 Sean's grooms cake was a peanut butter chip with chocolate buttercream filling "Retro Nintendo" player! How fun! 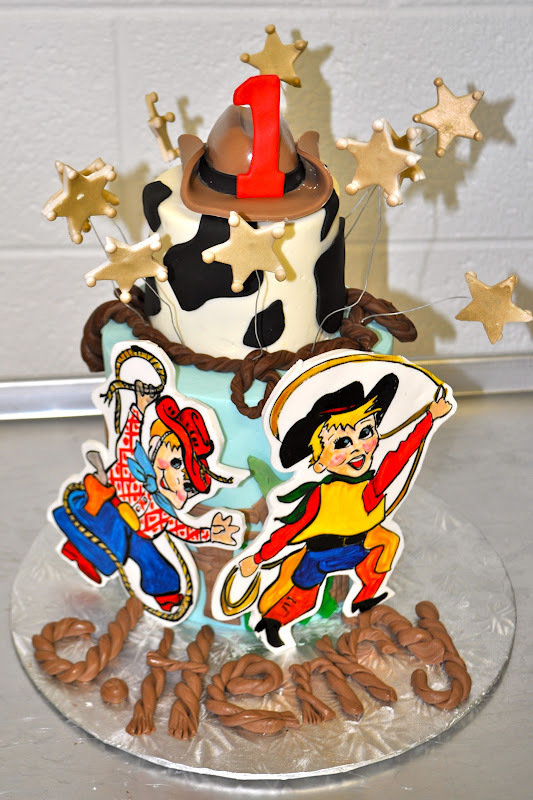 This cake was made for a very special birthday celebration! 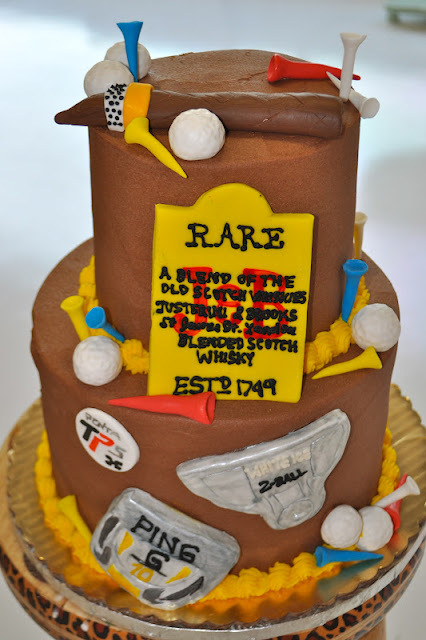 The birthday "Boy" loves his Whiskey, Golf, and Cigars! The cake was a 6" and 8" stacked double chocolate cake with lots of fondant details to match the theme! This is one of my favorite cakes ever! Alma was the sweetest bride ever, who wanted something unique and vintage inspired for her wedding cake! Right up my alley! The entire cake is our signature "white velvet flavor" The colors were made to match Alma and Jeremys themes and colors. It looked awesome at their venue- the Thistle Hill Mansion in Fort Worth. This super cute cake was made for Collins' first birthday! The cupcake on top was made from a 4" cake, and the bottom tier is an 8" white cake. 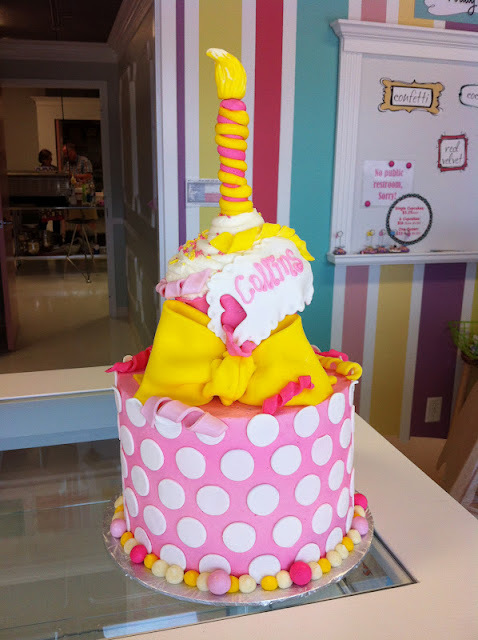 The entire cake was designed off her precious little birthday outfit!